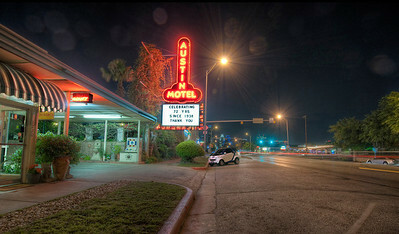 A well known location for Austin photographers. 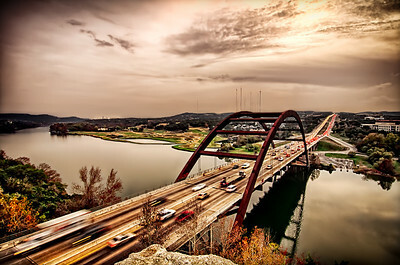 The Pennybacker Bridge provides a different view every time you visit. Lady Bird Lake is a major recreation area for the city of Austin. 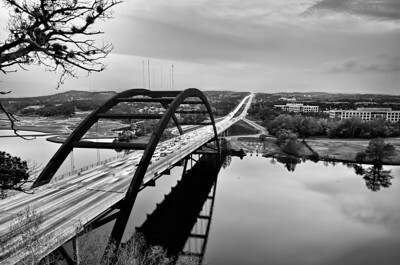 Its banks are bounded by the Lady Bird Lake Hike and Bike Trail, and businesses offer recreational watercraft services along the lakefront portion of the trails. 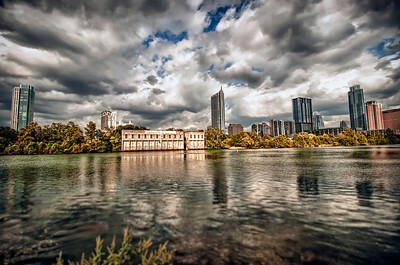 Austin's largest downtown park, Zilker Park, is adjacent to the lake, and Barton Springs, a major attraction for swimmers, flows into the lake. Much of the landscaped beauty of the parks surrounding Lady Bird Lake can be credited to the former First Lady, Lady Bird Johnson, who, in the 1970s, focused her attention on the Town Lake Beautification Project. The City of Austin prohibits operation of most motorized watercraft on Lady Bird Lake. As a result, the lake serves as a popular recreational area for kayaks, canoes, dragon boats, and rowing shells. 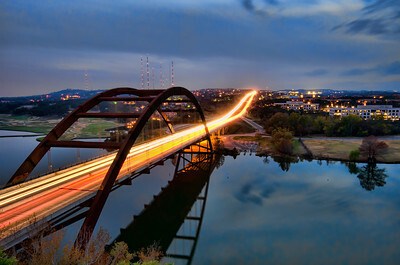 Austin's warm climate and the river's calm waters, nearly 6 miles (9.7 km) length and straight courses are especially popular with crew teams and clubs. 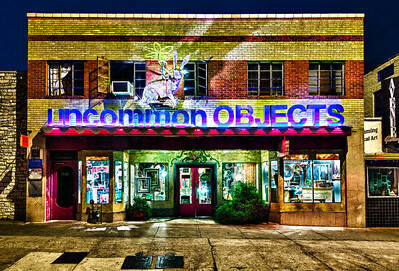 Uncommon Objects is a collection of booths that sell vintage and eclectic art in the South Congress area known as SoCo in Austin Texas. 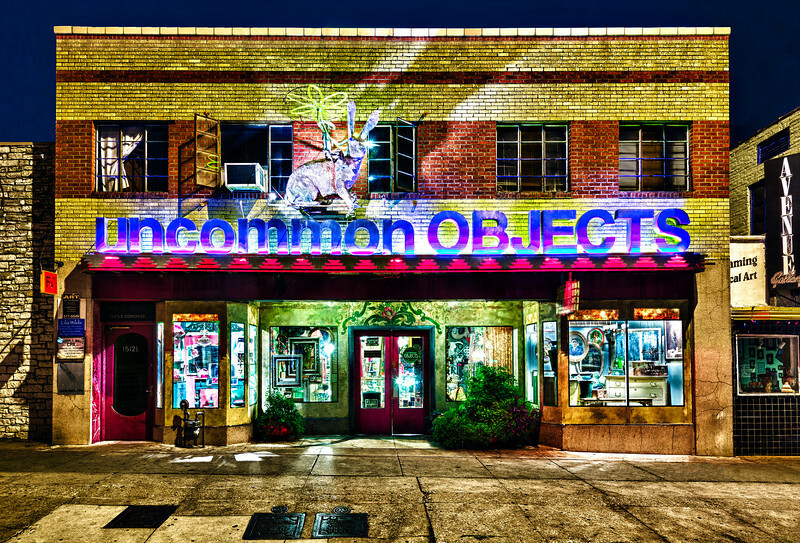 The proprietor Steve Wiman describes Uncommon as "Raw materials for creative living." It is located about a mile south of Riverside drive in the heart of SoCo. There are many shops and places to grab a bite to eat nearby including a trailer park of different cuisines, Guero's Taco Bar and Homeslice Pizza to name a few. This shot was taken late Sunday night since that is the only time that cars are not parked in front of all the shops. 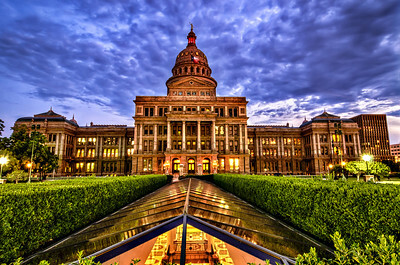 Living in Austin gives you the opportunity to capture a wide range of images. One very iconic image is that of the Capitol. I like to revisit the location from time to time to try and get a new take on its beauty. As I set up and waited for the sun to set, the clouds started rolling in with a very ominous tone. This image shows the office area under the building where most of the offices are. View from the cliffs above Pennybacker Bridge in Austin Texas. This view is a fairly popular view that requires hiking up the side of a roadside cliff. I had not been courageous enough to try the hike before, but it is quite beautiful once you get to the top. If you are ever in Austin, this is one of those spots you should try to visit. Although much of my work is HDR, this image is just one frame with a long exposure of 30 seconds. View from the cliffs above Pennybacker Bridge in Austin Texas. 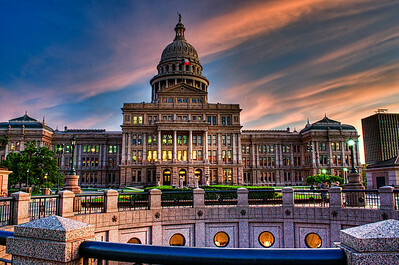 The Capitol in Austin Texas taken at dusk.